You must be a member of the Gothenburg Swedish Language Group to attend this activity. Would you like to join this group? 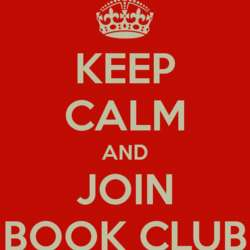 We have come up with an idea to start a book club in our group. So what is a “Book Club” 📖? We would vote a book to read and give a time-frame of 20/30 days to finish reading it. ⏳Afterwards we would meet at a caffe or at one of our place or a park (in the summertime) to discuss the book, characters in and the theme of the book. Of course that will be accompanied by “Fika” and then on same day we discuss about out next choice of book. We would also aim to polish our “Swedish language knowledge” for those who are interested and hopefully choose some light Swedish literature in the future. Selection of books could be anything and it will be better to come up with different types every time from all backgrounds of interests. Let’s keep it interesting! So write down in comments to register your interest and we will then arrange a first meeting to plan meticulously! P.S: Date and time is just tentative, we will decide exactly after we have members.